Because of my job as a vegetable gardener,I have become a seasonal cook. Things should be enjoyed while in season and eaten till you are ready for a break. This does not mean that I will only eat in season, I make jams etc and freeze some things, rhubarb is one of these, baking and freezing was part of my work today. As a gardener the weather is the thing that you work against the most. 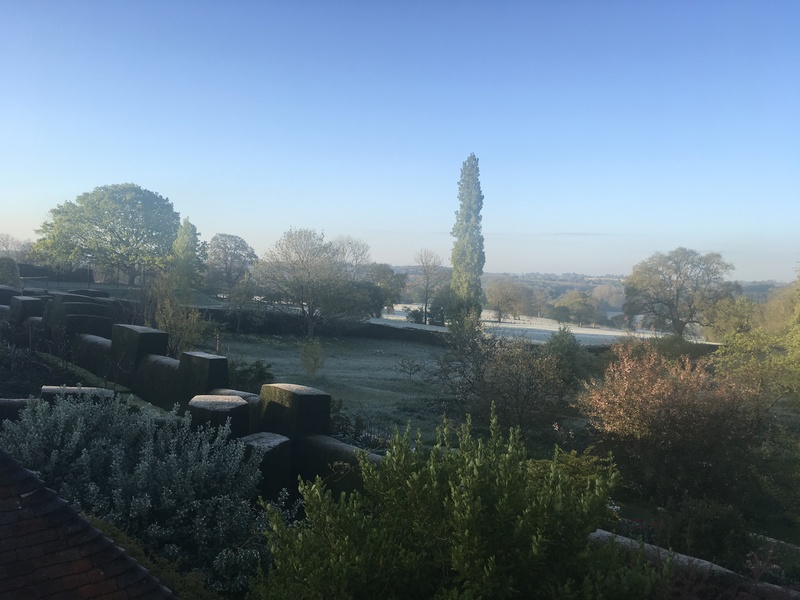 Today we had a frost, this does remind one not to go too crazy and put plants out that are not so hardy, it is easy to do when the sun is starting to warm the soil. They said we would get rain today so I got down on all fours and weeded between the young seedlings. Sometimes it is useful to do this so you can see what is going on with the young plants. So much for the rain. I am now getting back into the swing of things in the garden after my travels. 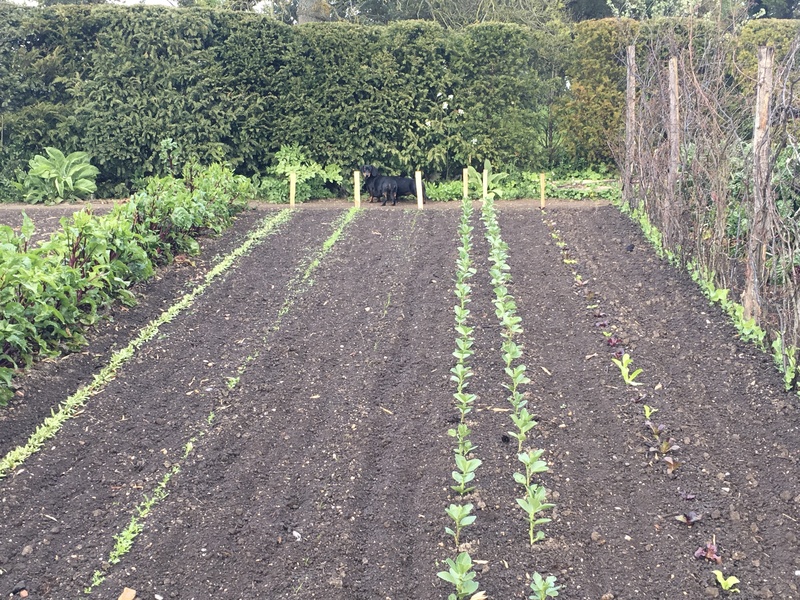 Between Thomas and the Forget-me-nots the vegetable garden is looking great. Seed sowing and weeding are the important jobs to be focusing on this week.